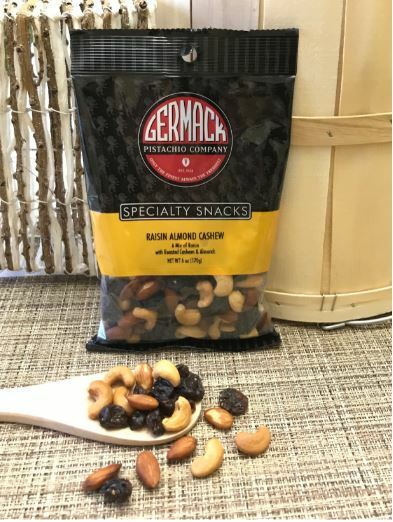 Roasted, unsalted cashews, almonds, and raisins. A Germack family favorite for it's simple goodness. Nice, on-the-go snack size great for lunches, picnics, or road-trips.